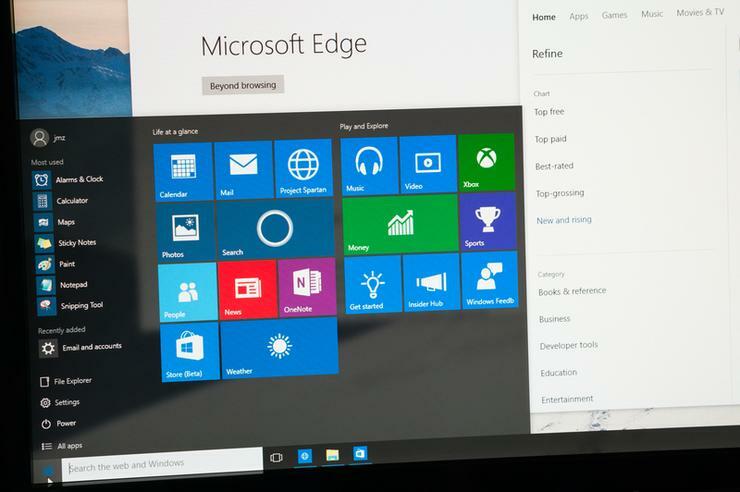 Windows 10 Pro vs Enterprise: which is better for business? There isn't much between the two versions of Windows for business, so which represents better value for money? With Windows 10, Microsoft's flagship operating system is now available 'as-a-service', with the vendor calling it the 'last' version of the Windows. This means it will be upgraded a couple of times a year from now on, with the latest being the April 2018 update - more details on that here. Windows 10 fixed many of the issues users hated about Windows 8, and seems to be successful enough to convert Windows 7 purists. It actually overtook Windows 7 in terms of global usage for the first time in January 2018, according to web analytics company Statcounter. Due to Windows 10 being a cloud product, apps operate easily across devices, which helps support mobile workers easily and it is the most secure OS available from the vendor. When it comes to productivity, like Office 365, Cortana and the Edge browser, there is no difference between the Home, Pro and Enterprise plans, but Pro users can take advantage of features like remote log-in. On the security side, Windows 10 is naturally the best patched version of Windows, with Pro including Virtualisation-Based Security (VBS) and Windows Hello for biometric security. And for IT deployment, upgrading and migration have been simplified through either the Windows 10 MDT (Microsoft Deployment Toolkit) or ADK (Assessment and Deployment Kit). So that functionality comes as standard for Pro or Enterprise users, so what are the key differences? The main differences come down to security, presumably because this is where enterprise companies will be most sensitive. For example, Pro doesn't come with Windows Defender Application Control and Guard functionality, or Advanced Threat Protection (ATP). For Enterprise customers there are two options: branded E3 or E5 by Microsoft, with the key difference being that E5 includes Windows Defender ATP. This advanced security tool uses endpoint behavioural sensors, analytics and machine-learning to identify attacker tools, techniques and procedures to deliver alerts to the relevant member of the IT team. For IT the only difference between the versions is the Windows Analytics Device Health functionality, allowing Enterprise users to identify and remediate device-level issues, such as common crashes, for employees. Application Virtualisation and User Environment Virtualisation are also Enterprise only features, as well as the ability for IT to whitelist files and apps using the AppLocker, and set granular group policies. This is the tricky part, as Microsoft simply prices its Pro version but Enterprise is typically priced depending on volume or on a bespoke basis, which is the industry standard. This makes it impossible to make an apples for apples comparison. What we do know is that Pro is £219.99 per user for a one-off download to a device. Windows 10 Enterprise on the other hand comes in two flavours (E3 or E5) and is priced on a per-device, per-user basis but are only available through the Volume Licensing plan, which allows for organisations to buy longer term licences (typically 3-5 years) and employ volumes of scale when purchasing multiple seats for Windows, and can re-deploy those licences across devices and people accordingly. Microsoft does provide a value calculator for Enterprise customers too.